The world is more and more concerned with fossil fuel exhaustion and environmental problems caused by conventional power generation, renewable resources are becoming a focal point of the environmental movement, both politically and economically. 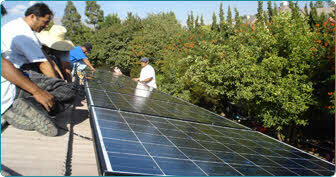 In such circumstance the photovoltaic (PV) technology is going to play a key role. India receives solar energy equivalent to over 5000 trillion kWh/ year, which is far more than the total energy consumption of the country. The “National Solar Mission (Nov. 2009)” guideline by Govt. 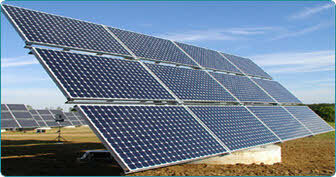 of India, the domestic market for PV manufacturing industry has shown an exponential growth projection. Even Govt. is trying to regulate RFID tagging (to store its manufacturing specification details) for each of its panel enabling its traceability and identification as per ISO 9000 clause 7.5.3. Historically PV manufacturer use the barcode system. Conceptually, bar coding and RFID are quite similar; both are intended to provide rapid and reliable item identification-and-tracking capabilities but they are different in many ways. Bar code Vs RFID technologies are NOT mutually exclusive, nor will one replaces the other. They are both enabling technologies with different physical attributes. The superiority of RFID over Barcode conceive it as a best in-shape technology to give better tracing tool to improve the ability of supply chain by enhancing its productivity, accountability and item level visibility of PV Panels for long life. Location & quantity of the parts at each stage and the arising bottlenecks can be detected &resolved immediately. Reducing payouts for recalled or returned product. Reducing lost product and sales from shipping errors. Fast identification of the low efficient panel to be replaced/ relocated. Better preventive measurement & maintenance. Pilferage of the solar panels can be controlled. Keeping the PV panel authenticity from grey market and increase the country manufacturing facility. The Tag Solar system includes specialized passive RFID tags designed to be used with PV modules and to endure the life cycle of installation and deployment. Handheld Reader to scan the tags on the panels and identify the ones which are not performing up to the desired level.